The Best Free From Easter Recipes | The Free From Fairy. As Easter rapidly approaches my blogging friends and I have been working hard to try and making Easter baking easier for you. As part of #FreeFromEaster we’ve been creating recipes that are free from at least gluten with many free from a whole lot more allergens too. Of course Easter is not all about food. There are plenty of lovely gifts you can give that don’t involve chocolate and the wonderful Emma from Free From Farmhouse has helpfully given some inspiration on that front in her latest blog post. However, if you fancy having a go at making your own healthier chocolate, or rustling up some hot cross buns that aren’t filled with gluten and a whole host of preservatives, then read on! 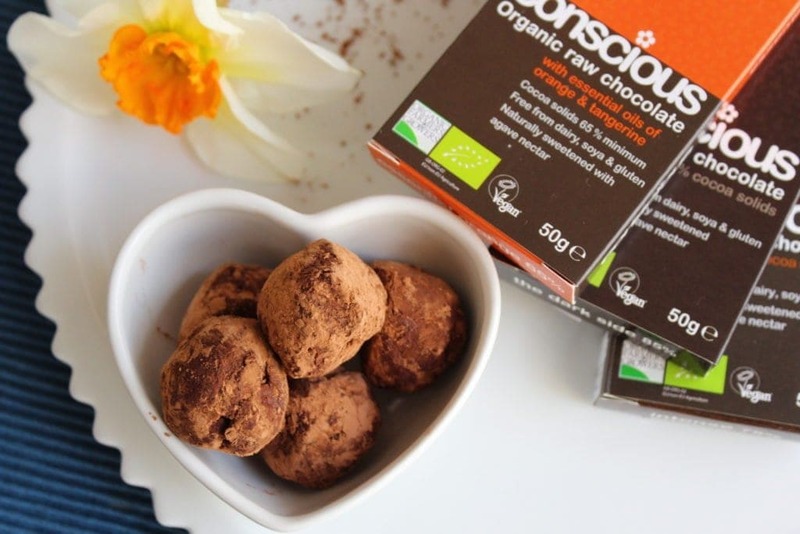 I love these gluten and dairy free chocolate truffles. I’d make them every day if I wasn’t likely to eat them all at once. Or what about this darkest healthy homemade chocolate? Filled with my healthy version of strawberry fondant they are utterly irresistible. A few years ago Roo came up with the idea of making truffles flavoured like Christmas pudding. She obviously made them for Christmas but they’d make a wonderful gift at any time of the year and are filled with dried fruit rather than chocolate. 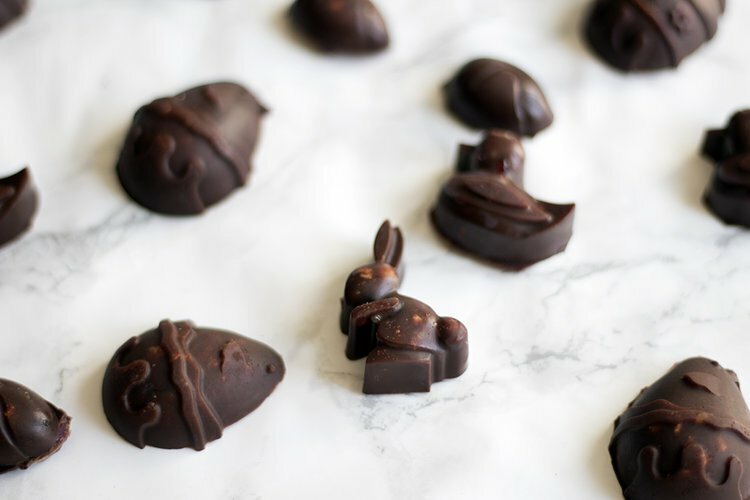 These vegan fruit and nut chocolates by Sneaky Veg look fabulous and would make the perfect gift this Easter…especially as they contain no refined sugar. 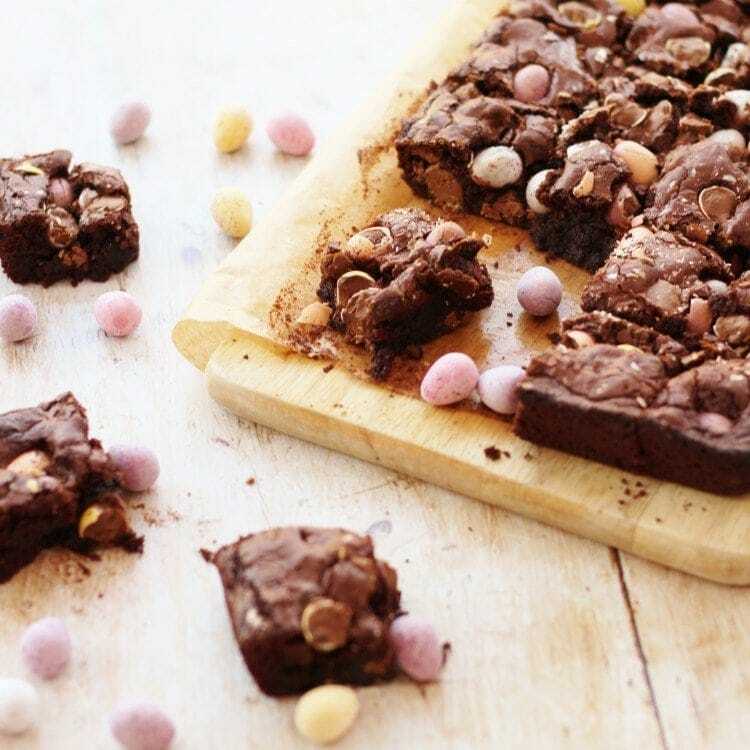 How about Cherished By Me’s delicious looking gluten-free rocky road? Or the Intolerant Gourmand’s marshmallow crispy squares? 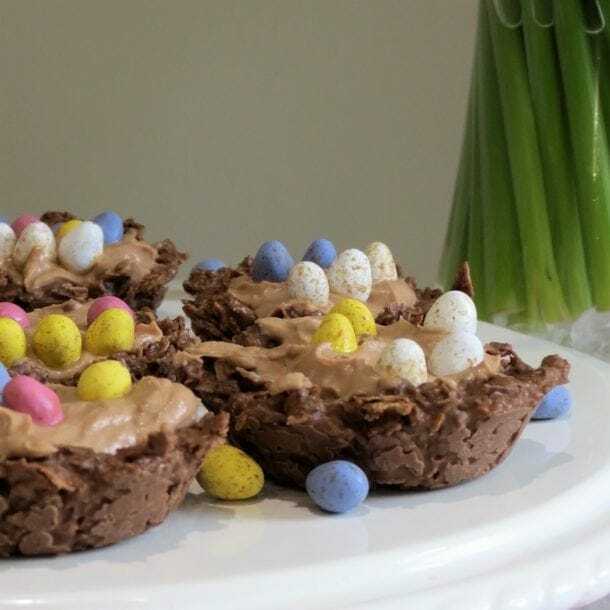 I love the idea of having chocolate for breakfast so why not follow Emma at Free From Farmhouse and make her berry chocolate nests for Easter Sunday?! For a different nest recipe you could use that from Rebecca at Glutarama. They are made from gluten-free Nutribix to ring the changes. 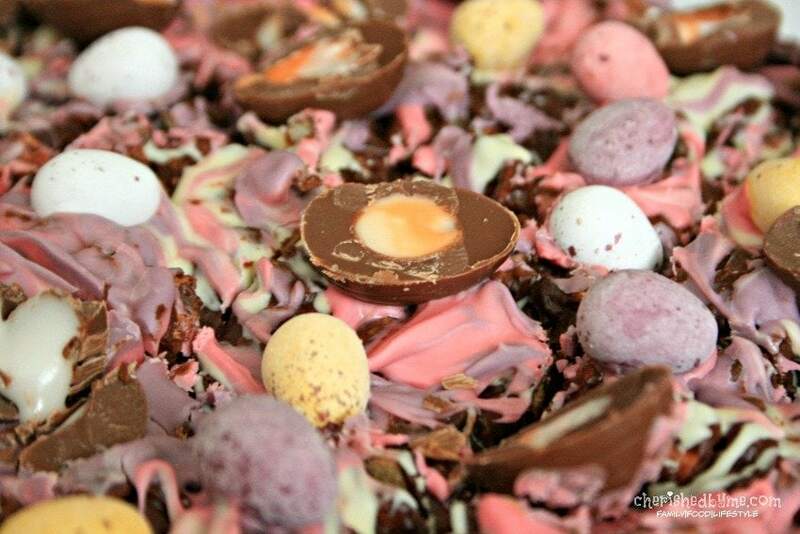 Now one for the chocoholics! 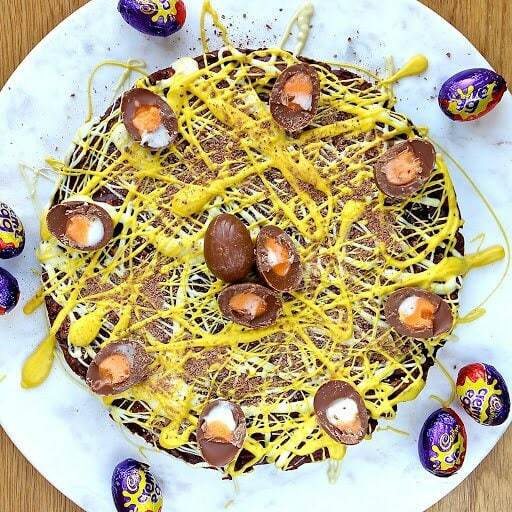 A feast of chocolate from Kate at Gluten Free Alchemist in her no bake creme egg biscuit cake. Now moving onto traditional simnel cake…or not so traditional as you are on my site. These mini simnel cakes from Easy Peasy Foodie are made using my flour rather than wheat flour, despite Eb not needing to cook gluten-free food. She compared my flour against standard wheat flour and declared mine to be tastier! I’ve also got a recipe for simnel cake cupcakes…well, chocolate simnel cupcakes with no fruit involved as Pickle hates dried fruit. Bad photo alert (I developed the recipe years ago and haven’t had time to make them recently to re-photo) but great recipe for those who hate dried fruit (or can’t eat it due to the low FODMAP diet) and need to avoid dairy and gluten. Eb at Easy Peasy Foodie got rather carried away with my flour and has also created these delicious sounding mini egg brownies. What’s not to love? Laura from Dairy Free Kids has made some lovely little Easter fairy cakes…perfect for the kids and also a whole lot of fun to make with them. She also chose to use my flour if you need some more inspiration with that bag in your cupboard! 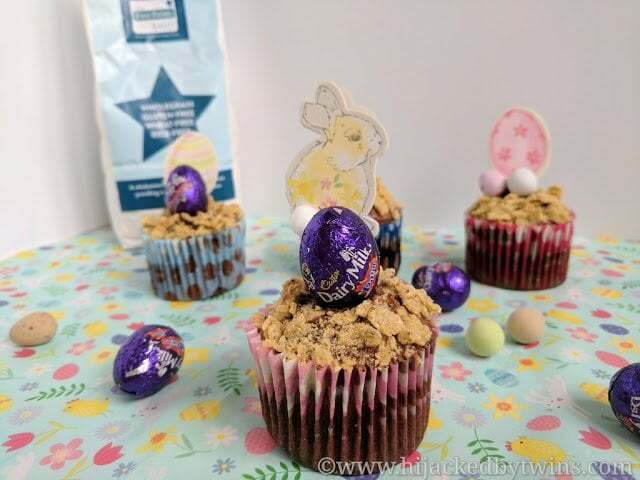 More cake inspiration from Kirsty at Hijacked By Twins who used my flour to create some gluten, dairy and refined sugar free (if you don’t top them) Easter cupcakes. I love the look of these and just can’t keep up with the amount of recipes being created with my flour. 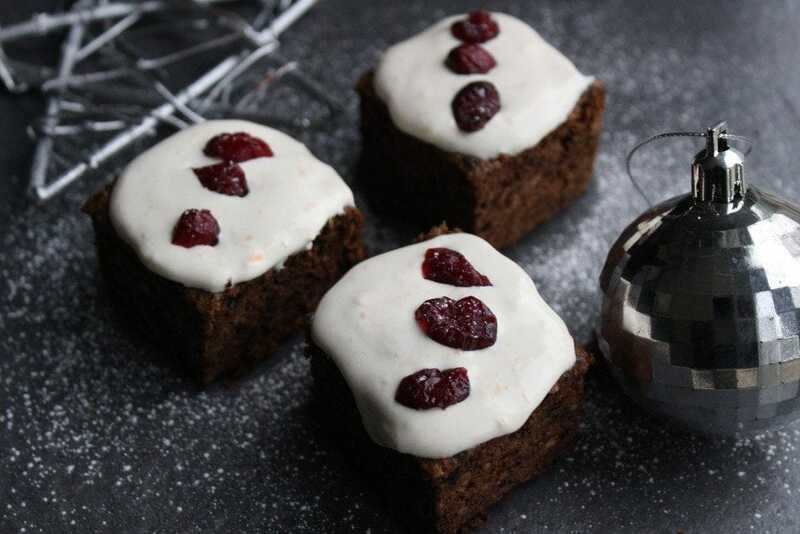 Finally, if you follow the low FODMAP diet but would like a cake to replace the traditional simnel cake you could make my alternative Christmas cake. It’s a delicious moist cake that everyone will enjoy. 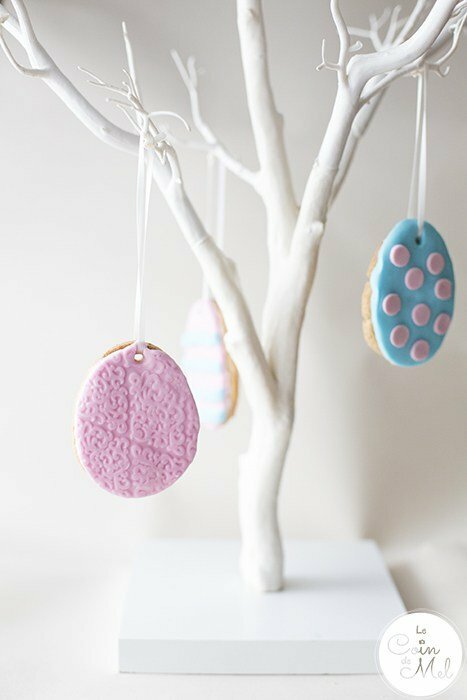 Moving on to biscuits, Mel at Le Coin De Mel has made some beautiful vegan gluten free biscuits that are just perfect for Easter. Another recipe using my flour! And I hope at some point next week to share my new healthier take on a traditional Easter biscuit. My original Easter biscuit recipe is gluten and dairy free, but my new wholesome Easter biscuit recipe is also refined sugar free and uses coconut oil as a healthier alternative to margarine. I’ll be selling them this weekend at the Gluten Free and Healthy Living Food Fair in Bristol if you happen to be in the area! Who doesn’t love a hot cross bun? But for some people they can’t be on the menu because of allergens…or can they?! Midge at the Peachick’s Bakery has found a way of creating some gluten-free, vegan and citrus-free ones. Check out her recipe for apple, date and walnut hot cross buns right now. Not a raisin or currant in sight. Of course you could decide to make the hot cross buns that I created last year. As I was on the low FODMAP diet at the time I used chocolate chips rather than raisins in them. 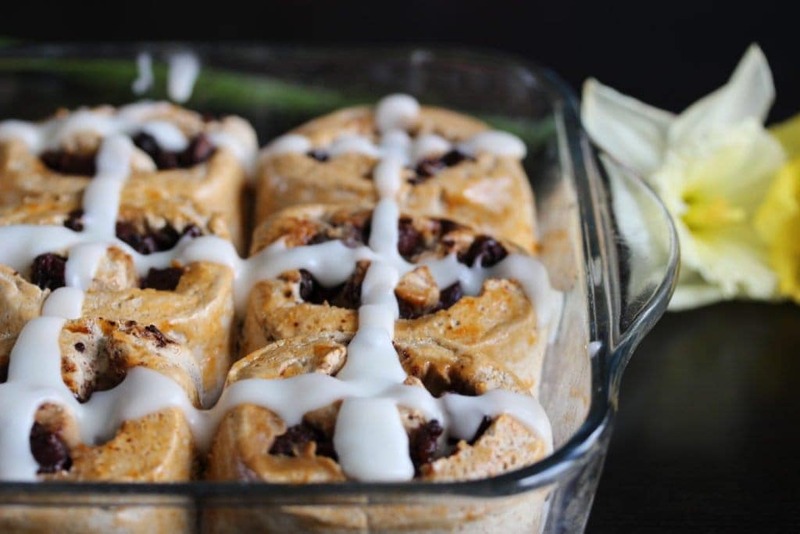 Or you might like my new recipe for hot cross bun chocolate rolls…which I warn you are totally irresistible and I ate two in a row before putting them in the freezer to stop myself from eating them all before the kids came home! 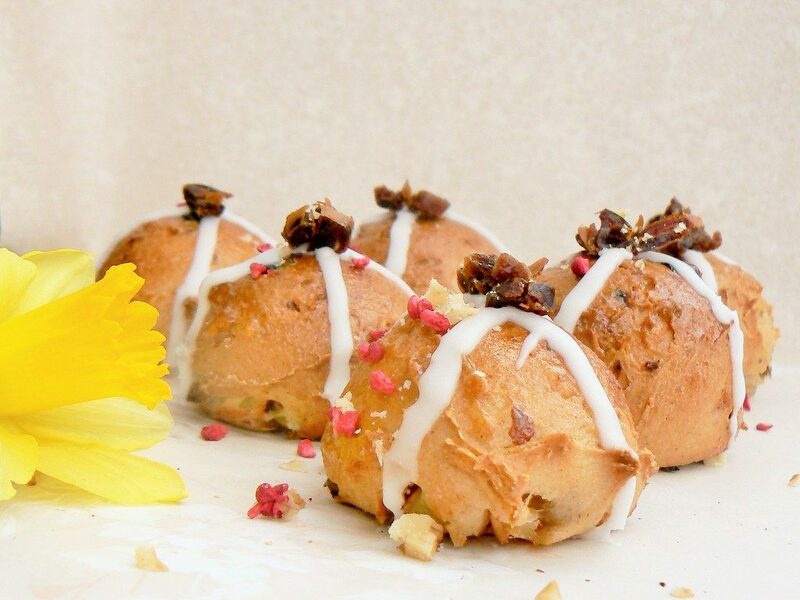 Finally, if you avoid grains you’ll want to check out these fabulous grain free and dairy free hot cross buns by Gluten Free SCD and Veggie. I’ll be making them this year as they are also refined sugar free. Perfect for anyone on the paleo, GAPS or SCD diets. I know! It’s all about the sweet things…but to balance things out a bit I will include a token savoury option! Kirsty at Hijacked by Twins has some lovely looking gluten and dairy free savoury egg muffins. I love the idea…they use eggs, just not the chocolate variety! 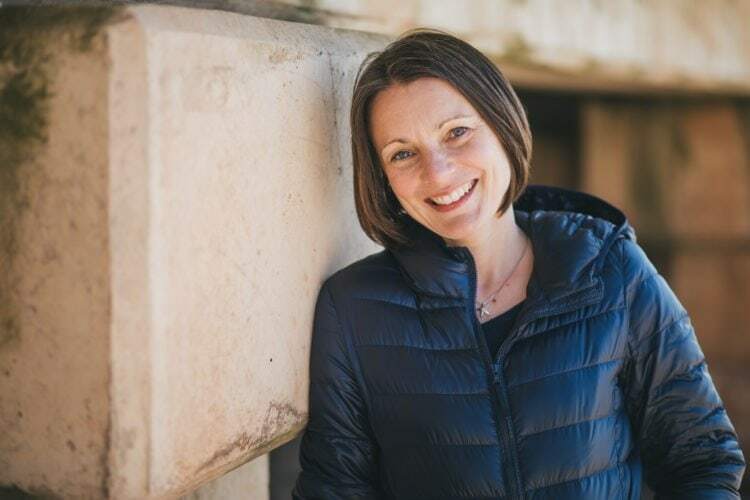 Finally, if you’re worried about how to deal with all the sugar your kids will likely consume hop over to Vicki’s site at Honest Mum where she shares an article by dietician Laura Clark. There is some sound advice…the best bit being to suggest the Easter bunny brings prosecco rather than chocolates! I hope you have a really happy Easter. This *may* be my last post until after the holidays.